What Kind of References Do Employers Want? Good or bad, employers want the truth. Getting a new job is sort of like joining the mob -- you can't get in unless someone vouches for you. Employers want to speak with references who will give them the inside scoop on your job performance; discussion topics might range from how quickly you respond to emails, to whether you've ever been caught sampling other people's lunches. Don't waste your time prepping your ex-bosses to give you a perfect review -- above all, employers want references that are honest and real. Employers typically want references related specifically to your past employment, although exceptions might be made for newbie college grads or folks returning to the workforce after a long hiatus. You should provide references who can give details about your attitude, working style, problem-solving abilities, strong suits, areas of improvement and how well you work with others. Only your direct supervisor can provide such detailed information. HR officials can only confirm your dates of employment, and although former professors, mentors and other professional contacts might be able to speak about your personality and work ethic, employers need to speak with references who have observed your job performance on a regular basis. Your potential boss might be wary of taking words on paper at face value, since written recommendations are likely to focus on your best qualities and leave out the grittier details. She will want to speak to your references over the phone to hear the level of enthusiasm -- or apprehension -- in their voice when your name is mentioned. Your future employer isn’t only listening to what your references say; she’s also listening for tone, pauses, indirect statements and the hidden meanings behind their words. 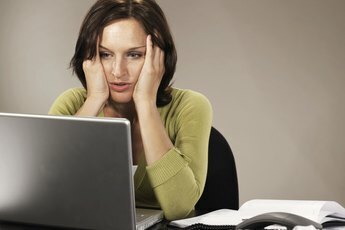 For example, you could turn in a glowing reference letter that says, “Jenny was a dedicated, reliable employee who worked well with others.” However, when asked directly, “Would you say Jenny was frequently late?” and your old boss says, “Ummm, I wouldn’t say frequently...,” now your potential employer has a more realistic view of your performance. Employers want references that are accessible. Wrong numbers and dead extensions are instant career turnoffs. Double-check your files to make sure you’re giving out the right contact info, and call your references beforehand so they’ll know to expect -- and answer -- the call. Employers want more than “yes” or “no” answers from your references. A full conversation is necessary to gain a feel for what it would be like to work with you. Ask your references to take the time to give full, detailed answers to each question. Can You Use a Colleague as a Referee or Does It Have to Be a Boss You Directly Report To? 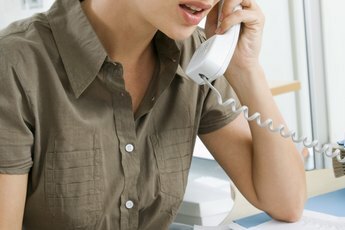 What Can an Ex-Employer Tell About You if Someone Calls?